THERE ARE THOUSANDS AND THOUSANDS OF FOOD BLOGS, BUT ONLY ONE CULINARY NO-NO! EVERY SUNDAY! Have I ever told you that our 8-year old daughter, Kyla, isn’t all that fussy when it comes to eating? There are a couple of items she won’t go near. Mac and cheese, for example. Can’t figure that one out. But it’s amazing how adventurous she can be for an 8-year old. 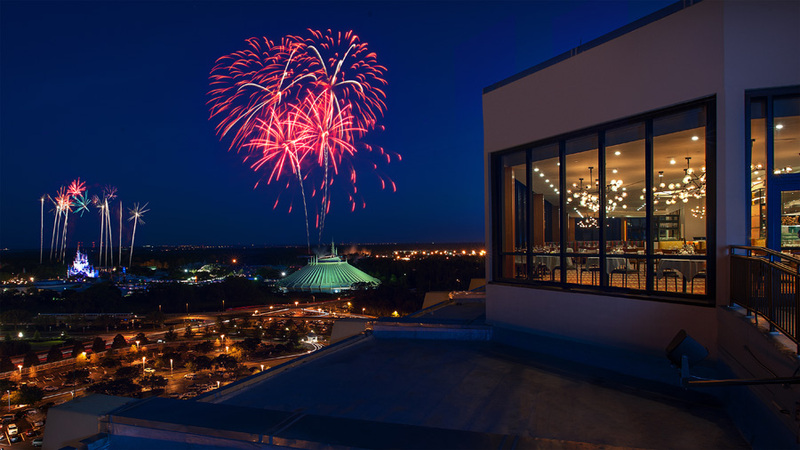 The California Grill high atop the Contemporary Resort at Disney World. Kyla loves to help Daddy finish his crispy rock shrimp salad. That would be your Asian pear, red onions, soy reduction, and wasabi cream, and yes, it has a kick to it. Care to guess what Kyla orders? It ain’t fish or fowl. 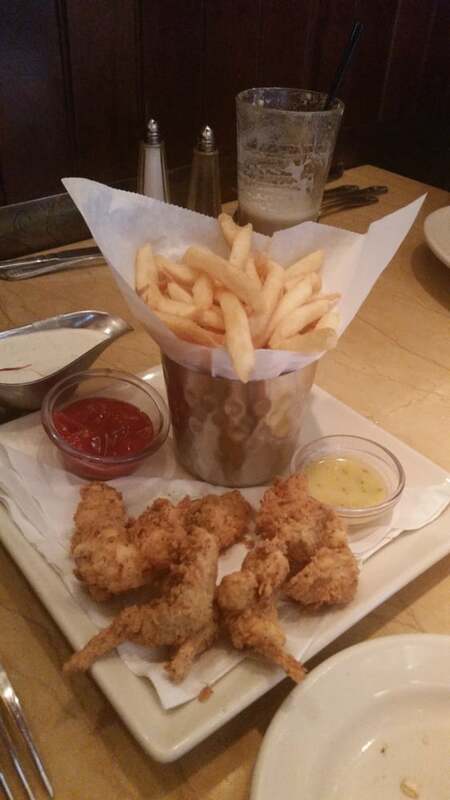 Speaking of chicken, the strips for kids are nice at The Cheesecake Factory. OK. We usually bury the no-no with an extended lead-up. This week it’s plain and simple.With not enough exceptions, restaurant children’s menus are normally scanty, boring, bland, and all too similar. From a strictly business perspective, one could argue by should restaurants cater to the kids? Bob Goldin, a partner at the food industry consulting firm Pentallect, claims kids’ orders comprise only about 1% to 2% of sales. Thus the blasé attitude toward beefing up menus for the little ones. That’s about to change, at least in some quarters. “For too long, restaurants in America have served menus full of nutritionally empty chicken nuggets, pizza and fries, paired with sugary drinks and cheap toys,” said Panera CEO Ron Shaich said this past week. Clean. No artificial flavors, preservatives, sweeteners or colors from artificial sources. Worthy of trust. No gimmicks. No distractions. No cartoon characters, crazy colors, toys, or toy-shaped food. Full of delicious options. Let kids be kids. Let them be picky. 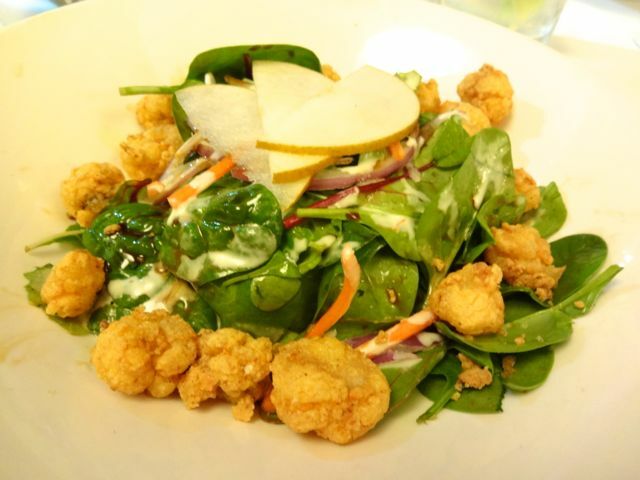 Let them make their own choices from a menu full of tasty, wholesome options. Nutritiously paired. Growing bodies need a meal complete with nutritious sides. Not fries, not onion rings. Options like organic yogurt, sprouted grain rolls, or apples. Drink optional. Kids meals shouldn’t encourage kids to drink a sugary beverage. Ours never have, never will. Water first, then the option of adding organic milk or 100% juice. On Wednesday Panera Bread announced a new approach to kids food—children can choose almost any item on the Panera menu as a smaller sized entree, resulting in more than 250 clean menu combinations. More than 250 clean kids meal combinations are available in Panera cafes as well as via all of Panera’s end-to-end digital pathways, including Rapid Pickup, Fast Lane Kiosks and Delivery. Each option is fully customizable. That’s not all. Panera issued more than just a massively-revised menu. “I’m challenging the CEOs of some of the largest companies in the industry—McDonald’s, Burger King and Wendy’s—to personally eat exclusively from their restaurants’ kids meals for an entire week—and if not, to take a thoughtful look at what they are offering our smallest guests,” said CEO Shaich. The recipients of his challenge would be wise to consider. “If you don’t offer something relevant to a family with kids, generally, you won’t get that family with kids inside that restaurant,” said Bob Derrington, senior research analyst at the Telsey Advisory Group.